Top White House officials and heavyweight confidants including Rupert Murdoch scoffed at President Donald Trump's intellect, according to an explosive new book containing shocking allegations about his first year in office. 'For Steve Mnuchin and Reince Priebus, he was an "idiot." For Gary Cohn, he was "dumb as s--t". For H.R. McMaster he was a "dope". The list went on,' according to an excerpt that NBC obtained. 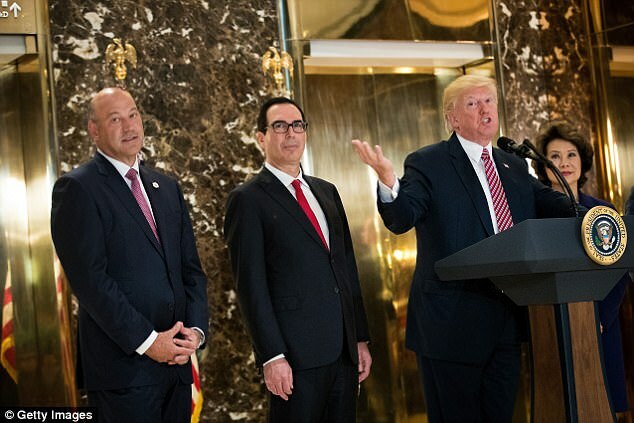 Treasury Secretary Mnuchin, McMaster, national security adviser, and the president's chief economic adviser Cohn are all currently serving under Trump, and have not yet responded to the claims made in the book. Priebus had a run as White House chief of staff from January to July. Conservative media mogul Rupert Murdoch is also quoted, ridiculing the president's intellect. 'On December 14, a high-level delegation from Silicon Valley came to Trump Tower to meet him. 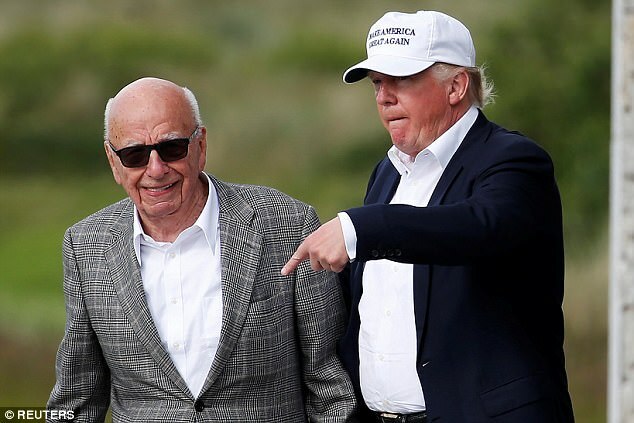 Later that afternoon, according to a source privy to details of the conversation, Trump called Rupert Murdoch, who asked him how the meeting had gone,' according to another excerpt printed in New York Magazine. 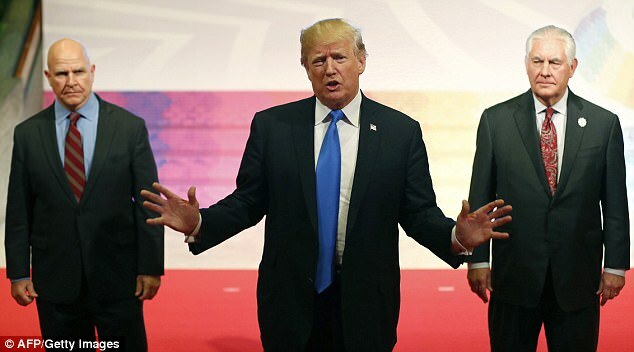 It was reported this summer that Secretary of State Rex Tillerson had called the president a 'moron,' Tillerson has not specifically denied making the comment. The book is brimming with slights aimed at the president, including claims that his daughter Ivanka Trump has made fun of his hair. 'She often described the mechanics behind it to friends: an absolutely clean pate – a contained island after scalp-reduction surgery – surrounded by a furry circle of hair around the sides and front, from which all ends are drawn up to meet in the center and then swept back and secured by a stiffening spray,' Wolff wrote. 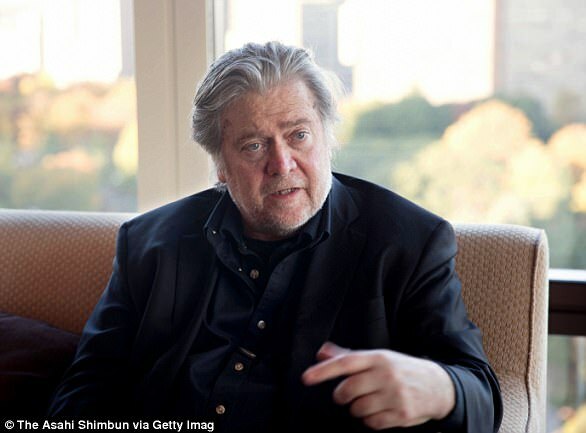 After excerpt's from the tome ran online Wednesday, and as more information leaked out from other journalists with an advanced copy, the White House went into defense mode, as it was revealed that former chief strategist Steve Bannon had gone on the record extensively. 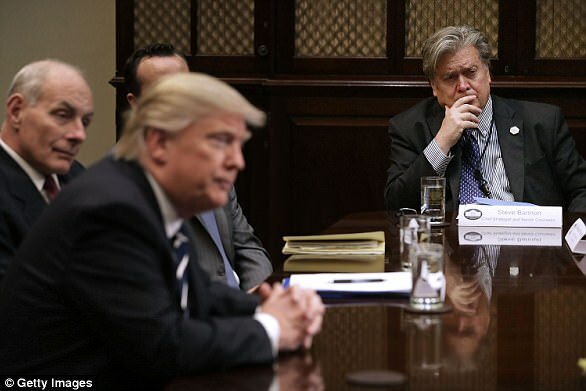 Trump issued an extraordinary statement bashing Bannon. 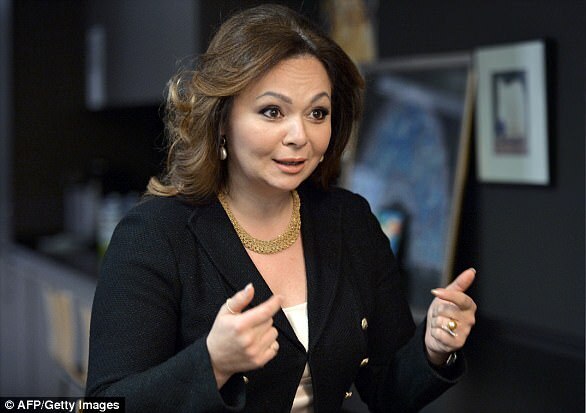 Trump's White House press secretary sent out a statement of her own that called the book 'trashy tabloid fiction' full of 'false and misleading accounts,' after the president's longtime consigliere was quoted trashing Donald Trump Jr. and claiming his father would have immediately been made aware of an infamous Trump Tower meeting with Russians. 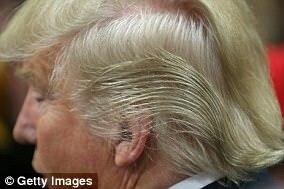 Secrets of Trump's hair revealed - by Ivanka! Ivanka Trump has spilled the beans to her friends on how her father's unusual hairstyle came to be, author Michael Wolff's new book reveals. 'She often described the mechanics behind it to friends: an absolutely clean pate – a contained island after scalp-reduction surgery – surrounded by a furry circle of hair around the sides and front, from which all ends are drawn up to meet in the center and then swept back and security by a stiffening spray,' Wolff wrote. 'The color, she would point out in comical effect, was from a product called Just for Men – the longer it was left on, the darker it got,' Wolff said. 'Impatience resulted in Trump's orange-blond hair color,' the forthcoming book, entitled 'Fire and Fury: Inside the Trump White House,' said. 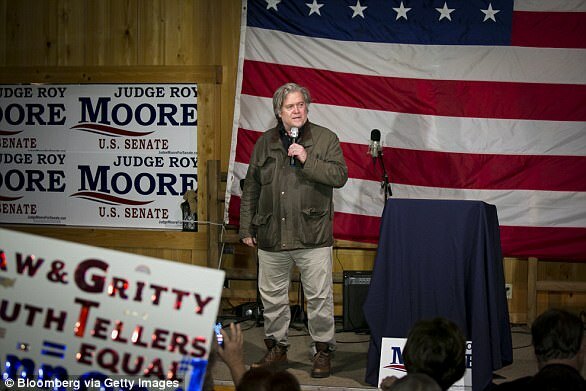 'Even if you thought that this was not treasonous, or unpatriotic, or bad s***, and I happen to think it’s all of that, you should have called the FBI immediately,' Bannon mused. 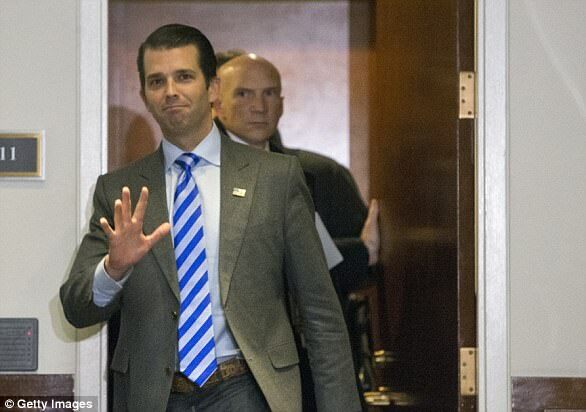 'The chance that Don Jr. did not walk these Jumos up to his father's office of the 26th floor is zero,' Bannon said, in an excerpt from 'Fire and Fury: Inside the Trump White House. 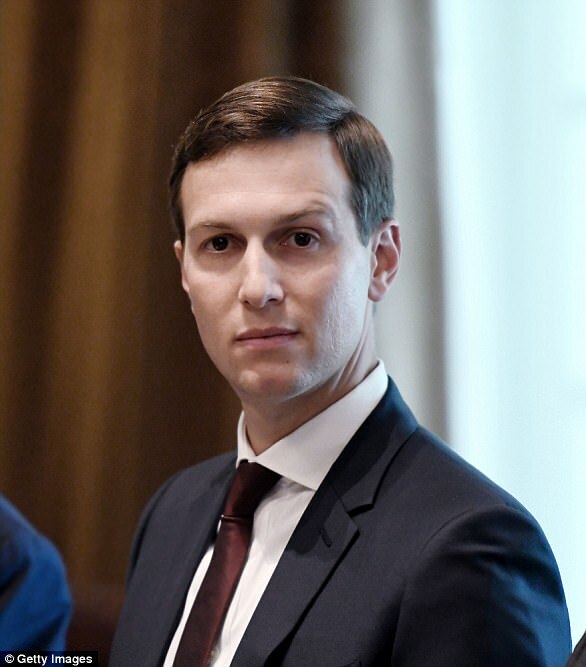 ''The three senior guys in the campaign thought it was a good idea to meet with a foreign government inside Trump Tower in the conference room on the 25th floor – with no lawyers. 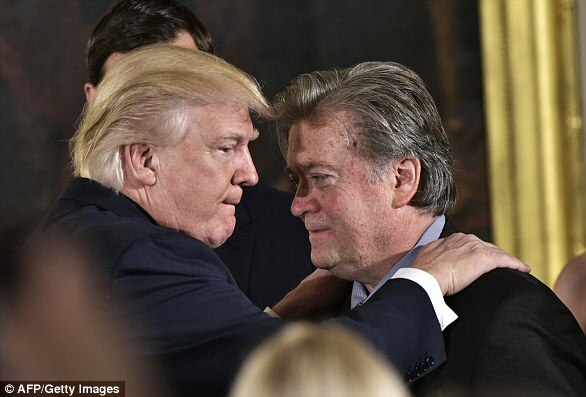 They didn't have any lawyers,' Bannon vented in excerpts in the book obtained by the Guardian.